The title of this 1979 Horror Anthology gives me a “Jonathan Livingston MURDER” vibe. That’s a compliment. 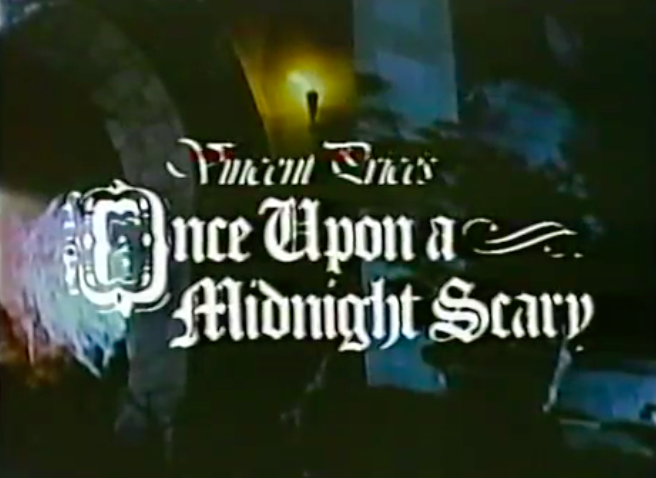 Once Upon a Midnight Scary is made up of three children’s (scary) stories and was broadcast on CBS in October of 1979. 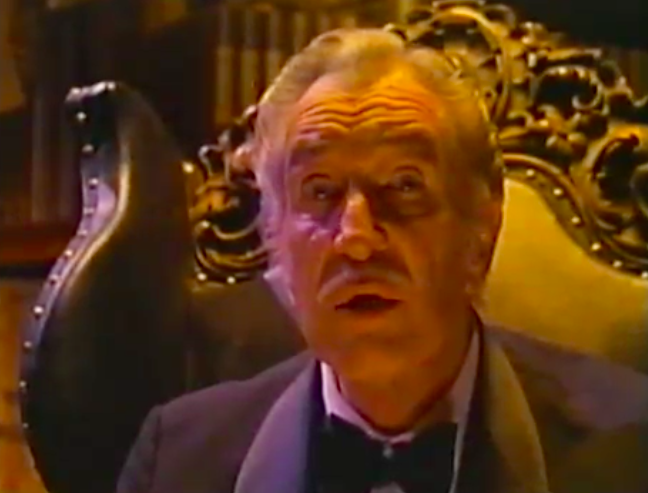 Vincent Price – he of the infinite availability – hosts the set, and his pieces are of markedly higher quality than the short films they wrap. The first, “The Ghost Who Belonged To Me”, focuses on a boy named Alexander who encounters a ghost in his barn. The ghost leads him to a road where he unintentinoally stops a bus that was headed for disaster. The second, “The Legend of Sleepy Hollow”, is about…you know what it’s about. 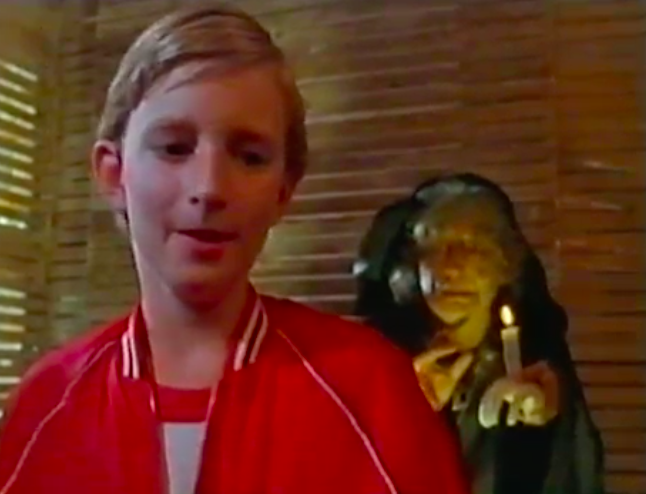 What was the fascination that 1970s and 1980s television had with this story? The acting in this one is so over the top that I have a hard time determining when Ichabod Crane is being afraid of the Headless Horseman and when he’s mocking the Headless Horseman. The final story, “The House With a Clock In its Walls”, is the longest and most interesting. Lewis moves into this Uncle Jonathan’s house and catches his strange uncle knocking on walls in the middle of the night. Turns out Jonathan’s some sort of Wizard and he’s looking for a Doomsday clock that spells the end of the world if it is activated. I mean, there’s really no better premise. Then, THEN, Lewis raises a corpse from the grave using Jonathan’s spells…and it just so happens that that corpse is the wife of the guy who invented the Doomsday clock! The stories are entertaining enough, but none of them are complete. The interesting thing to me about this anthology is that they really encourage the viewers to read the stories that are the source material for the vignettes. It’s an odd touch but a nice one. Here’s the full video – hard to recommend this one but it does have some charming moments. This Halloween-themed commercial for Hostess Snowballs has Clarabell getting the ultimate haul from his Trick-or-Treat run…dressed as himself. The Magic Manor was apparently your place to go in Rockford, Illinois, in the 1970s to get your costume fix! This spot for the Monster Mash board game is great enough on its own, made even better by the fact that Don Martin of MAD Magazine fame did the animated bits! 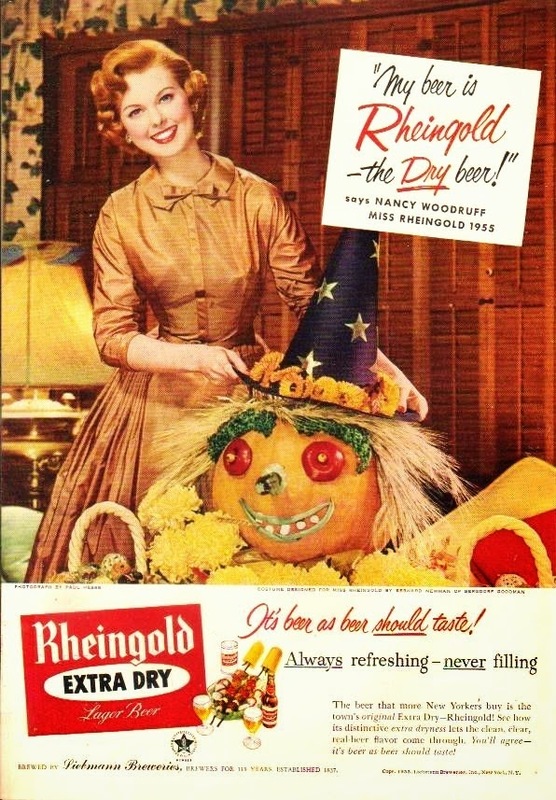 Never heard of this beer, but this ad makes me want to…watch someone else try it.